Zapier is pretty much the best thing to happen to the internet since – well since the internet happened. Zapier is a tool you can use to make more than 1,000 cloud apps work together. You can use it to automate tasks and eliminate duplicate data entry, saving you time and money. For example, you can create an automation that automatically creates a new appointment in Aero everytime you add a new event to your Office 365 calendar. Look on the left nav for other ideas of Zaps you can make. The first time you create a Zap using Aero, you'll need to give Zapier permission to connect to Aero. You only need to do this once. Start creating a new Zap. The first part os a Zap is the Trigger. Currently, Aero can only be selected in the Action step, so you'll need to set up a trigger with one of 1000 other apps. 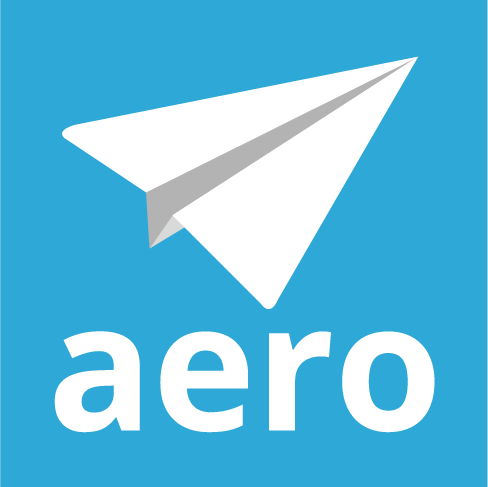 Choose Aero Workflow as your Action app. You'll be asked to select an Aero Workflow Account. Click Connect an Account. A window will pop up asking for your API Key and Account Identifier. You must have a security level of an SL8 to access the Admin menu and get an API key. If you cannot access the Admin menu, you can ask your Aero account admin to give you the API Key and Account ID. You do not need to have an SL8 security level to use the Zapier integration.You can find your API key by navigating to Manage > Aero Account. If you don't already have an API key, you can create one. Note that you use the same API key for all integrations. If you already have an API Key listed, DO NOT create a new one. Your Account Id is located on the same page right above your API Key. Copy and paste the information and click the Yes, Continue button. Zapier will show the Name of the Aero account you're connecting to. If it looks correct, click the Test button. If the test works, click Save + Continue. Set up your Template. This is where you match information from your Trigger app to fields in Aero. Make sure that you select or enter information for the required fields. You can leave any optional fields blank. When you finish setting up your Action, make sure you turn on your Zap!